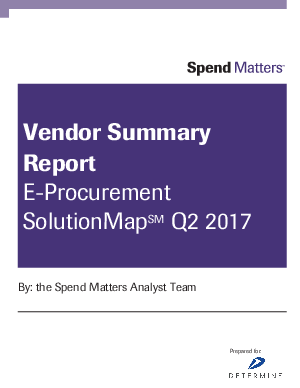 Our Cloud Platform eprocurement capabilities scored a hat trick across five personas, landing in the Value Leader quadrant every time. We ranked in the top third for customer value, innovation, ROI and TCO, along with numerous solution technology categories as well. Analysts and customers recognize our unmatched strengths in supporting complex, global eprocurement configurations, making Determine a stand-out choice.